Kenneth Sellers, graduated from Grandfield High School. 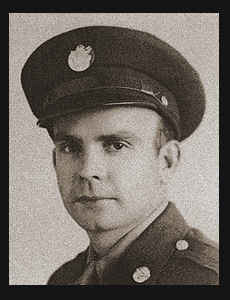 Entered Air Corps in Nov., 1942; served in Italy, S. W. Pacific, Okinawa; was discharged in Nov., 1945. Awarded Air Medal with two Oak Leaf Clusters, ETO Ribbon, Am. Theatre Ribbon, Asiatic Pacific Ribbon, Pres. Unit Citation with two Oak Leaf Clusters, Good Conduct Ribbon, Victory Ribbon.